Anyone looking at the result of the QIPCO 2000 Guineas of 2016 might be forgiven for wondering whether the Racecourse Judge got the order the wrong way round. In terms of the betting, it would have made more sense if Marcel, Air Force Blue and Stormy Antarctic – the first three favourites – had finished first, second and third, rather than last, second-last and third-last! That is why they run the races, of course. But racing fans clearly need as much help as they can get to make sense of a result that was far from expected. Galileo Gold was the winner at 14/1 from Massaat at 12/1, with none of the next six home starting at less than 20/1. That is where timing analysis, and sectional-timing analysis in particular, comes to the fore. Fortunately, Britain’s first classic was covered by TurfTrax’s tracking system, as were the other races on the card, and as had been the previous four runnings of the race. Comparisons are not just possible but imperative! Anyone looking to dismiss the result as a “fluke” should have a look at the overall time and those sectionals and think again. At 1 minute 35.91 seconds, Galileo Gold ran one of the fastest 2000 Guineas in history, and that despite ground that was described officially as somewhere between good and good to soft. A brisk wind might have played its part, but that is still an impressively quick time, not least compared to races earlier on the card. Running fast times comes about by performing efficiently, of course, and the TurfTrax sectionals confirm that this was the case with Galileo Gold to a sizeable degree. Never more than 0.18s from what was a generous pace, his by-furlong sectionals were impressively consistent mid-race, and it was only after he took the lead approaching 2f out that he turned the screw with the fastest furlongs in the field, of 11.81s then 13.28s, on the climb to the line. Various horses had put in faster sectionals earlier on, including – perhaps surprisingly – Air Force Blue and Stormy Antarctic, who both registered 11.10s for the third furlong, the fastest of the entire contest. 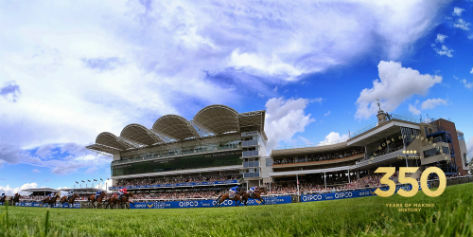 That early pace, set by First Selection, meant that every one of the runners got to three furlongs out in under a minute flat (59.37s for the leader himself), which was considerably quicker than for either the 2014 Guineas won by Night of Thunder or the 2015 Guineas won by Gleneagles. It was too much for some of them, not least the market leaders, but Galileo Gold saw his race out well, his finishing speed (the speed of his last three furlongs compared to his speed for the race overall) being only just slower at 98.6% than the 99.7% course-and-distance par. So, while this year’s 2000 Guineas might not have produced the result that was expected, TurfTrax’s figures show that it was a truly-run race, in which the winner was given an efficient ride and most of his rivals wilted towards the end. There were no major excuses in sectional terms. It remains to be seen just how the form will pan out in the months ahead, but TurfTrax’s sectional times suggest you would be wrong to assume that Galileo Gold is other than a very smart colt in his own right. QIPCO 2000 Guineas of 2016 sectional times.